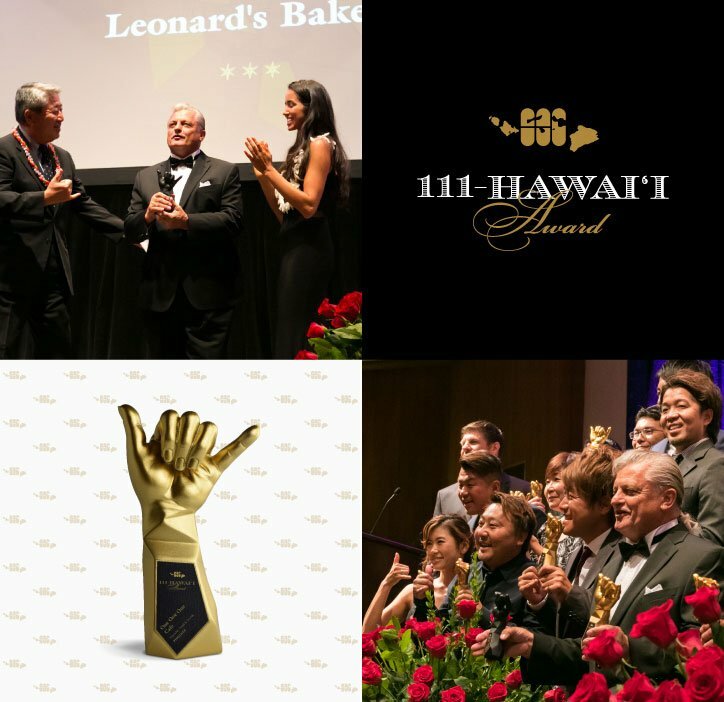 The 111-HAWAII AWARD (One-One-One Hawaii Award) is an organization operated by the Hawaii nonprofit association JHTA (Japan Hawaii Travel Association) and 5 companies from Hawaii and Japan: Hawaii Hochi, Clarence Lee Design, TMS HAWAII, Shizuoka Shimbun Inc, Toms Co LTD. The organization is a part of the 111-HAWAII PROJECT concept and is a regional and social contribution project in Hawaii. The 111-HAWAII AWARD held an awards ceremony at the HALEKULANI on Friday, Oct. 6th and announced the final results of the voting process. 111-HAWAII AWARD is a Hawaii ranking decided via online voting. The top rankings from 50 categories, such as Hawaiian gourmet, souvenirs, and tours, are chosen by Japanese fans of Hawaii who live in Hawaii, Japan, and anywhere else in the world.